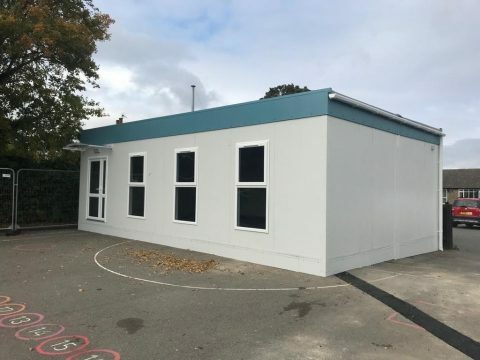 We have available this 6 section double classroom modular building. 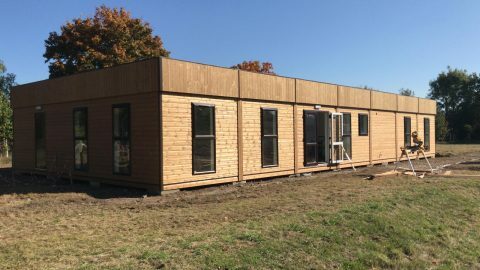 Each module is 9.6 m x 3.0 m and the building measures 173 m² in total. 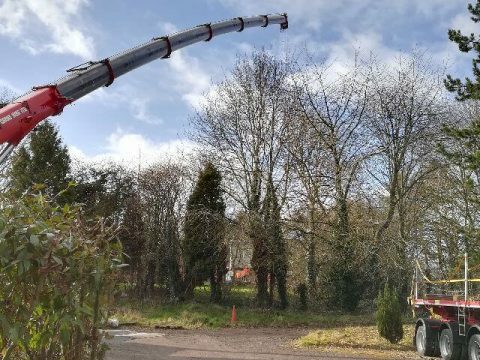 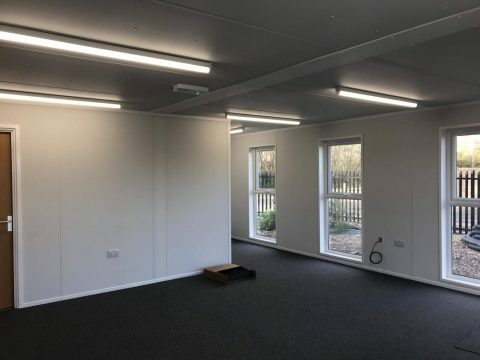 The layout consists of 2 classrooms both measuring 60 m², toilets including a DDA compliant toilet, a reception area, cloakroom and small store room.